At Hotchkiss, we are committed to, and passionate about, our work both on and off the court. Each year we strive to create an environment in which every level of player can thrive. Whether you have been playing in competitive tournaments for years, or whether you are planning on picking up a squash racket for the first time when you get to Hotchkiss, we have a program that is appropriate, challenging, and rewarding for you. Above all else, we value inclusion, trust, and respect. The team has won back-to-back Founders League titles in 2016 and 2017. In addition, in 2016 the team placed tenth at Nationals in Division I, and fifth in the New England Class A tournament to close out the season. Each year, we look to build on our previous season's successes, and we are eager and excited to speak with you about your interest in Hotchkiss Squash. We are always looking for more players to join our team. Coach Gardner began playing squash at Phillips Academy Andover and quickly developed a passion for the sport. He continued competitive play at the London School of Economics, traveling with and captaining the second of four varsity teams. 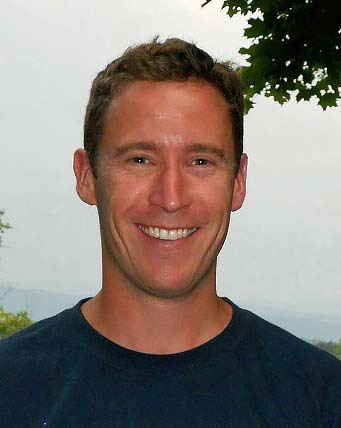 Gardner returned to the sport in 2012, both coaching and learning alongside veteran Hotchkiss coach John Virden, before assuming the head coach role in 2013.